Crosses For Mary© manufactures uniquely designed, plastic crucifixes available in white, white glow, black, and dogwood (brown). 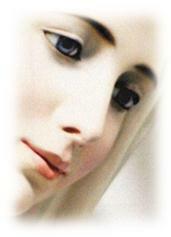 We assist rosary making organizations in their mission to spread the word of our Blessed Mother. Our wholesale prices make it affordable for both small and large non-profit organizations, charities and groups. Founded in 1985 in Fitchburg Massachusetts, we ship these unique plastic crucifixes in increments of 1,000 (one case, consists of 10,000 crucifixes). All pricing shown is per thousand. Volume discounts are available for cross orders of 10,000 or more. For orders larger than 30,000, please email us at patim@crossesformary.com.